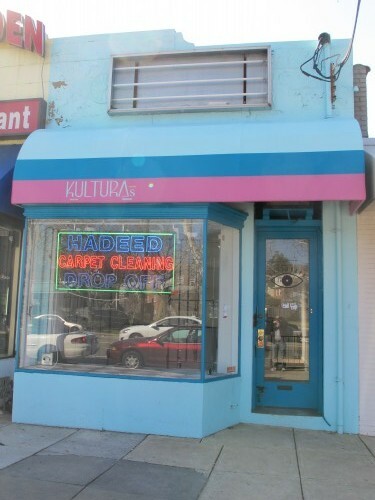 About two weeks ago – Kultura’s Tenleytown/Friendship Heights location closed at 4918 Wisconsin Ave, NW. It looks like it will be replaced by Hadeed Carpet Cleaning. I stopped by the Dupont location at 1726 Connecticut Ave, NW to make sure they were still open and indeed they are and have no plans of going anywhere. is a general secondhand, out of print and rare books store specializing in Art, Architecture, Photography, Film, and modern 1st editions. We also carry fine literature for all ages, a fairly deep selection of global area studies, inclusive of United States history, Political and Economic theory, as well as Poetry, Philosophy, Music, Science, Psychology, Travel, Cooking and Gardening books. We attempt to carry just about any foreign language to English dictionaries we can get our hands on and boast a very, very good selection of books in French and Spanish. Our paperback fiction collection is extensive and generally priced at 50% off publisher’s price.